If you’ve been thinking about purchasing one of the superior custom Ponte Vedra homes at Oasis Club, now is the time to act. Only three homesites remain available and people are likely to act quickly knowing that this opportunity is slipping away like the fine white beach sands. Nestled across from the picturesque Atlantic Ocean and just minutes from top-notch amenities, Oasis Club is the kind of coastal Florida community that fills people’s dreams. While Glenn Layton builds custom homes at Oasis Club, they wanted the community to fit beautifully into the landscape. Their homes feature historically inspired architectural elements that are elegant without being stuffy. Among the architectural elements available that make these homes so outstanding are the decorative balconies, sidelights, transom windows, authentic shutters, and lap and shake siding. These are homes that look like they belong, while still providing the comfort and modern amenities you come to expect in a home built by the company that created the HGTV Smart Home in 2013. Those technological features that were a part of the Smart Home are now more streamlined, improved, and even more affordable and are a standard part of almost all of the homes Glenn Layton Homes builds now. Inside and out, these custom homes make the most of the demand for indoor/outdoor living, with large glass doors that allow easy movement between living rooms with palatial ceilings and covered patios that are designed to be lived in just as much as the indoor rooms. 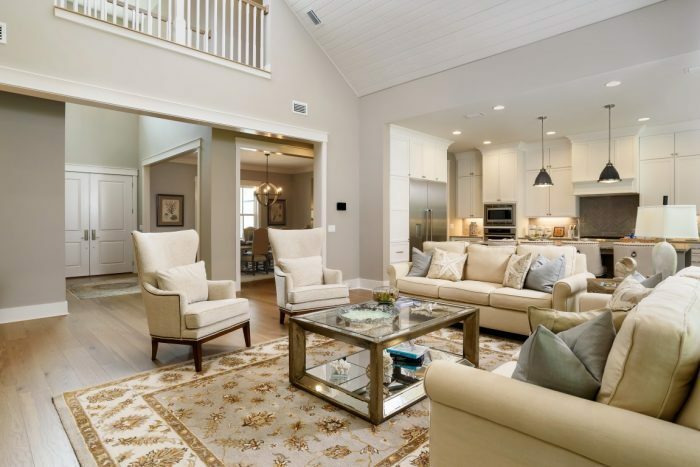 Inside and out, you get to work with an experienced team to help you create the custom home of your dreams in a setting where properties are backed up by the Guana Headwaters, while still being in the heart of Ponte Vedra. This means you have easy access to places like Sawgrass, the Lodge, and the Ponte Vedra Club, plus the Oasis Club is ideally located near the new Ponte Vedra High School and top ranked St. Johns County Schools. If you’re looking for custom Ponte Vedra homes, there’s really nowhere else to look than Oasis Club. With crystal blue water and long stretches of sandy white beaches, paired with homes designed to meet your every need and whim, don’t lose out on this unique chance to own a home in this world-class community. With only three homesites left, don’t delay any longer!